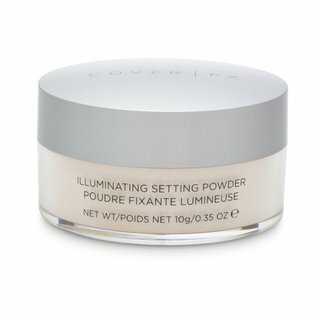 Home coverFX CoverFX Illuminating Setting Powder Giveaway Winners! CoverFX Illuminating Setting Powder Giveaway Winners! I hope you enjoy the powder as much as I do. Remember, a little goes a long way! You will iwn the shade light which is great for highlighting the undereye area. It does have a bit of glow to pack it on sheerly with a fluffy brush so you don't get too much pearlized impact on one area. Have fun! Email me at makeupbyren@yahoo.com with your name, mailing information and phone number and I'll make sure your prize is shipped right away. Thanks again to CoverFX for sponsoring this generous giveaway. Till next time, Ciao Bellas! FTC Disclosure: I am a CoverFX ambassador and affiliated with this company and compensated to make this post. As always, these are my honest thoughts and opinions.